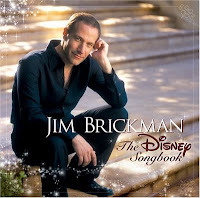 Though I keep on telling myself that love songs make me sick, I recently found myself listening to Jim Brickman's "Beautiful" over and over again. Listening to this song makes me feel like special, so beautiful. What more if someone will personally sing this song to you. Isn't it nice? Just try to listen to the song. You'll definitely understand why I'm feeling like this. Wonderful words! It fills me with tenderness and love! Being in love is such a magnificent time!